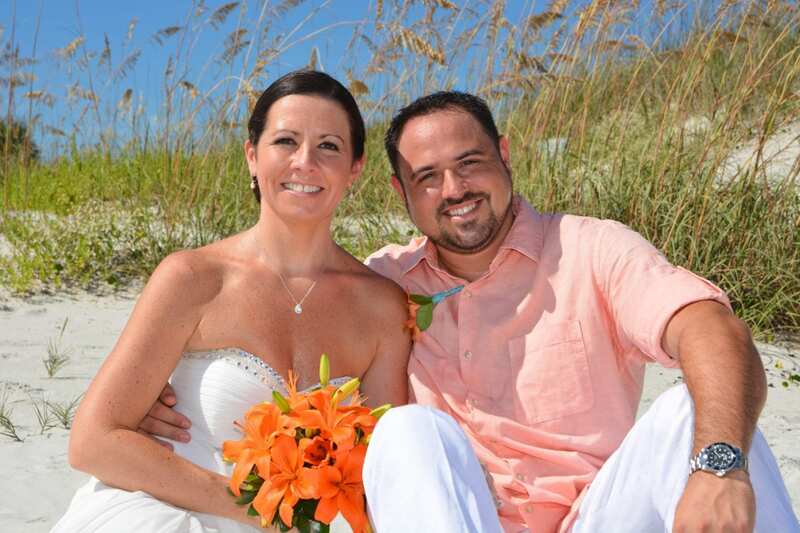 New Smyrna Beach Weddings are the ideal location for the outgoing crowd. New Smyrna Beach, Florida is a small city just outside of Daytona Beach with endless entertainment and dining options. New Smyrna Beach Weddings in Florida have beautiful dunes, the beautiful blue Atlantic ocean with white wave caps, and are typically less crowded than your traditional Daytona Beach Weddings. Are you looking for the perfect place to have a reception after your New Smyrna Beach Wedding ceremony? New Smyrna is filled with many local options that will leave you and your guests in awe. The Garlic is a popular venue among our New Smyrna beach brides. With the option to host a private party outside under the trees draped in lights, or a private indoor room, you won’t be disappointed. 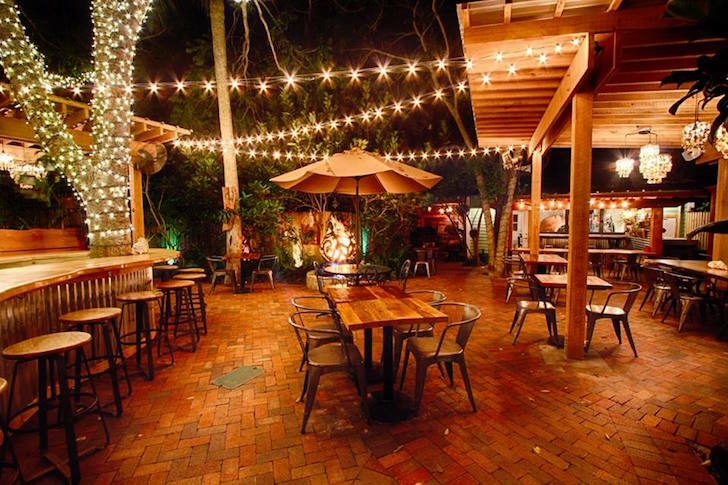 The Garlic has a wide variety of upscale dining options and is beautifully decorated in lights and trees, and often times has live entertainment, making it easy for you to just show up and enjoy! Norwoods Restaurant is a tree-top bar with a wide variety of wine options and also has a fine dining location downstairs. This is a great option for the wine lover or smaller groups. This would be a great location to bring your guests to celebrate the night before your wedding. With a laid back atmosphere, small plates and drinks at the tree top bar, you can lounge, relax, celebrate and enjoy all that Florida has to offer. New Smyrna Beach, Florida hosts many wine walks, craft beer walks, art walks and other local events. We recommend checking their event calendar before your wedding and try to plan an outing with your bridal party or guests. Flagler Avenue is a popular hit among guests visiting New Smyrna Beach. With unique boutiques, restaurants and events for the day time and a lively party atmosphere at night, it has something for everyone joining you for your New Smyrna beach wedding. 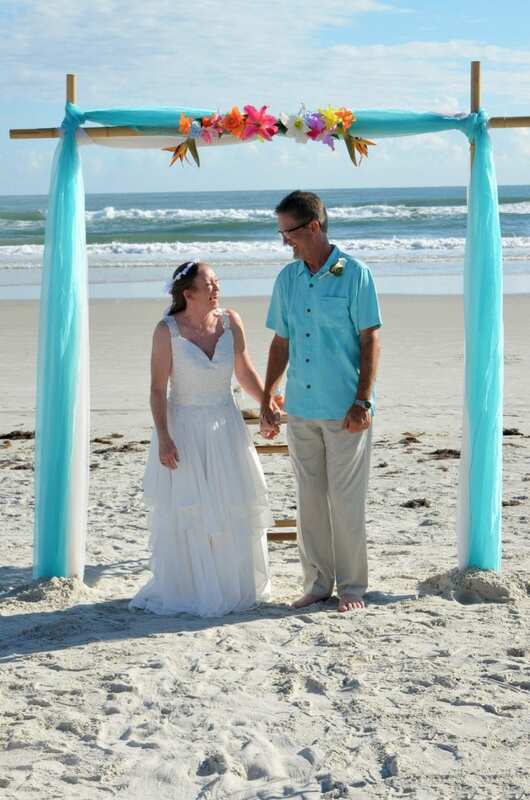 Our New Smyrna beach wedding packages are all-inclusive and provide everything you need for your New Smyrna beach wedding ceremony to be a success. New Smyrna Beach Weddings can often times be held right at your ocean front hotel in New Smyrna beach, making it even easier to celebrate your destination Florida beach wedding. With many dining options, local events, town culture, and a family friendly environment, you can’t go wrong with a New Smyrna Beach Wedding. 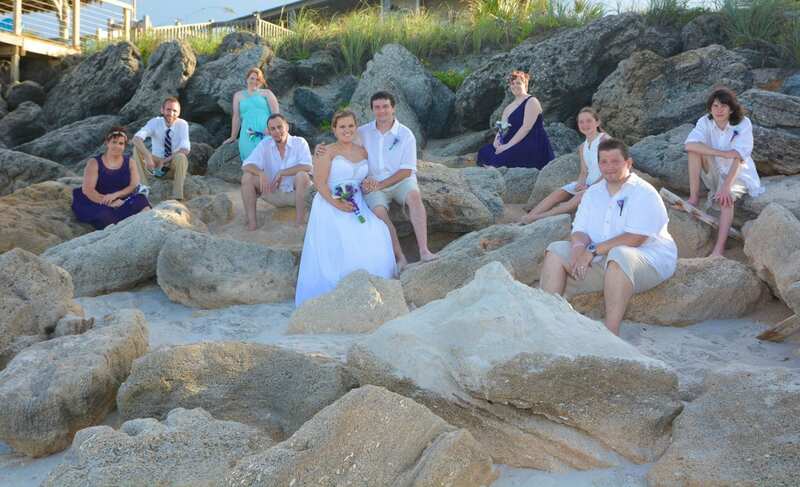 Check out our New Smyrna Beach Wedding Packages here.